Carbon monoxide poisoning is a serious danger when using a portable generator, especially for impulse buyers who need power after natural disasters. While new industry-wide safety standards are going to be rolled out in the next two years, Briggs & Stratton is taking the lead by adding their new CO Guard to their models ahead of time. Carbon monoxide emissions from portable generators are responsible for approximately 70 deaths and 2,800 injuries each year. While these devices are safe if used correctly, it’s common for new owners to ignore instructions and set up their equipment in areas that can lead to poisoning. Why is this such a big problem? When natural disasters shut off power for days, people buy units and use whatever extension cords they have on hand to plug in their devices. To get these cords to reach, they often place their generators inside garages, just outside windows or on covered porches where carbon monoxide can collect. Carbon monoxide is a colorless, odorless gas that attaches to red blood cells, preventing them from carrying oxygen. Early signs of poisoning including headaches and nausea are easy to ignore, increasing risk. While this problem is well known, getting an industry-wide solution hasn’t been easy. When it comes to government regulation, it isn’t clear if carbon monoxide should be handled by the Consumer Product Safety Commission (CPSC) because it’s a safety hazard or by the Environmental Protection Agency (EPA) because it’s a pollutant. To work around this problem, the Portable Generator Manufacturer’s Association (PGMA) was founded in 2009 to bring a voluntary standard. Today, this industry organization represents 80% of the market. In the early 2010s, the CPSC developed a low CO emissions tech demo using laboratory conditions that the PGMA argued was unrealistic for real-world use. In response, the PGMA started two groups to develop a new solution: one group worked on low emissions engine akin to the CPSC proposal, while the other group worked on a shut-off system. The latter system won out as it was inexpensive and easy to implement, while plans are in the works to bring low emissions engines to market in the next few years. The CPSC, PGMA and the American National Standards Institute (ANSI) built on this work to create the new ANSI/PGMA G300-2018 standard. Along with safety requirements for electrical, thermal and mechanical dangers, this new standard finally applies a standard method for CO management. G300 applies to all generators 15kW and under including inverter generators, open frame, and construction models, with compliance expected by March 31, 2020. It’s estimated that these shut-off devices should be more than 99% effective at preventing fatalities if the generator is operated in an enclosed space. 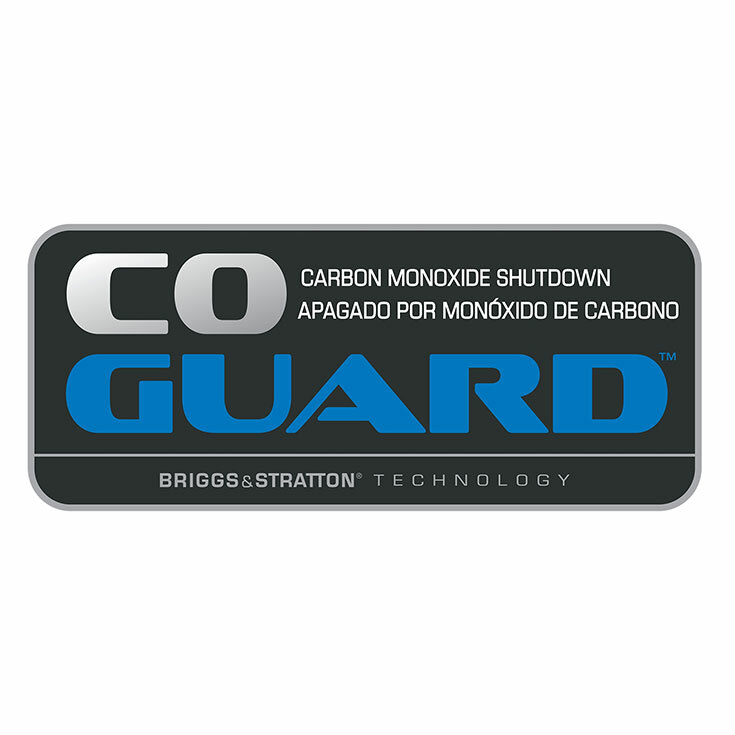 While manufacturers have a while to comply, Briggs & Stratton announced last April that they would roll out their CO Guard protection system as soon as possible. The first generators are reaching the market now with a phase-in across their entire line over the next 18 months. Designed to comply with the new standard, the system has a CO sensor built into the ignition system. When the sensor detects unsafe levels of the gas, it shuts off the engine and turns on a warning light. The system won’t reactivate the ignition system until CO levels drop. Briggs & Stratton spent a lot of effort in research and development to make sure CO Guard works reliably. To conform to the new standard, the sensor is designed to work in temperatures ranging from -20 to 122ºF. In early tests, they found the system could be triggered by wind blowing exhaust gases directly onto the sensor. To stop these false triggers, the sensor is housed inside a case that prevents direct air contact. While CO Guard makes these generators safer, it isn’t fool-proof. The generator still needs to be operated outdoors, and even minor exposure to carbon monoxide can cause tissue damage. Looking for Help with Your Briggs & Stratton Generator? Shank’s Lawn Equipment is an authorized Briggs & Stratton dealer, selling and servicing everything from the company from small engines to power equipment like these new generators. If you’re looking for a portable power solution or you need help with your current equipment, visit our shop at 4900 Molly Pitcher Highway in Chambersburg, PA. To get here, take Exit 10/Marion from I-81 and drive one mile East. Need parts for your generator? Visit our website, www.shankslawn.com. We ship across the U.S. and Canada. This entry was posted in Uncategorized and tagged Briggs & Stratton Engine parts, CO Guard, CO guard generator. Bookmark the permalink.